[PDF] The Humanities in Architectural Design: A Contemporary and Historical Perspective | Free eBooks Download - EBOOKEE! Description: Offering an in-depth consideration of the impact which humanities have had on the processes of architecture and design, this book asks how we can restore the traditional dialogue between intellectual enquiry in the humanities and design creativity. Written by leading academics in the fields of history, theory and philosophy of design, these essays draw profound meanings from cultural practices and beliefs. These are as diverse as the designs they inspire and include religious, mythic, poetic, political, and philosophical references. 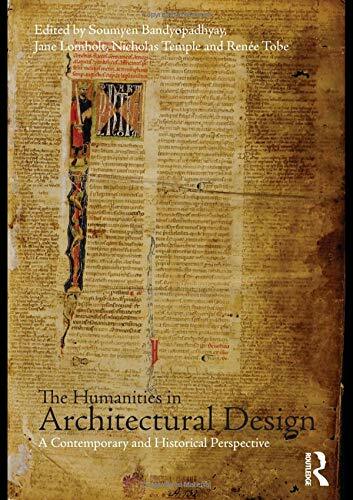 This timely and important book is not a benign reflection on humanities' role in architectural design but a direct response to the increased marginalization of humanities in a technology driven world. The prioritization of technology leaves critical questions unanswered about the relationships between information and knowledge, transcription and translation, and how emerging technologies can usefully contribute to a deeper understanding of our design culture. No comments for "[PDF] The Humanities in Architectural Design: A Contemporary and Historical Perspective".